UPDATE: The ScanMyPhotos.com FREE gas program was just mentioned in The Los Angeles Times (page A-1, April 22); another profile was just published by the Associated Press in a national profile on record gas prices (April 22). Why: Runaway, record high fuel prices is impacting the entire economy and every business - other than Visa and MasterCard's member banks which reap windfall profits - upwards of 1.70% in service station interchange fees from every credit card electronic payment. The impact of high fuel prices on the American economy and businesses is devastating. One entrepreneurial company, known for supporting important civic and commerce issues [ex: EPICCUSA.com, In the News] is doing something about it and hopes its leadership with motivate other companies to follow its FREE gas program. "As longtime civic leaders, we have noticed a steep decline in local traffic to retail establishments as pump prices soared to record levels,” explained Mitch Goldstone, president and CEO of ScanMyPhotos.com, the pioneer in super-fast and affordable digitization of generations of photo snapshots. To help soften the impact of record gas prices and spur consumer confidence, ScanMyPhotos.com is leading a campaign to get people back in their cars. “We anticipate many retailers will follow our lead and extend similar programs to provide consumers with a rich incentive to get in their cars – FREE gas,” said Goldstone. His 18-year-old company is also promoting the FREE gas program to the entire photo imaging industry through its connection with the International Photo Marketing Association and other entrepreneurs. Emails to its local Orange County, California ScanMyPhotos.com customers were distributed on Sunday. Its blog: Tales from the World of Photo Scanning also has an article about the FREE gas program. 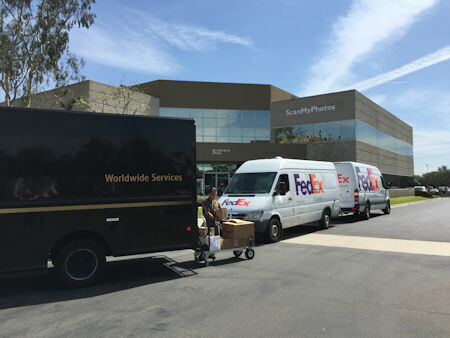 As for the Irvine, California-based photo specialty retailers and ecommerce company, nearly 90% of all ScanMyPhotos.com orders are placed on the Internet; many include free shipping for prepaid fill-the-box U.S Postal Service flat-rate photo scanning service. This is helpful for their customers across the country, but locally, people are driving less and want to make fewer trips. “Because most ScanMyPhotos.com orders are completed in minutes (1,000 pictures scanned in under 15-minutes), consumers are making just one trip to ScanMyPhotos.com. However, the cost of gas for local customers is significant. *From April 22nd – May 29th, all local Orange County residents will receive an extra perk to reward and incite people to bring in their generations of family photos to be scanned; FREE gas. 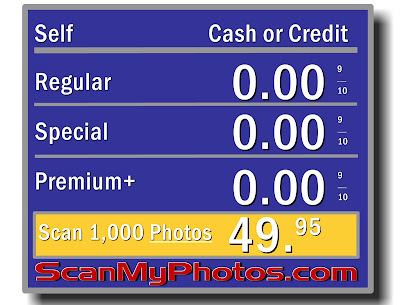 ScanMyPhotos.com is randomly providing from $5.00 - $25.00 Chevron gas Gift Cards for all local ScanMyPhotos.com walk-in only orders [purchase required; pay just $49.95 to scan up to 1,000 photos). The Chevron Gift Cards can be used in the United States for fuel, snacks and services and are accepted at nearly 10,000 Chevron branded stations in the United States. There are no hidden fees and no expiration dates. 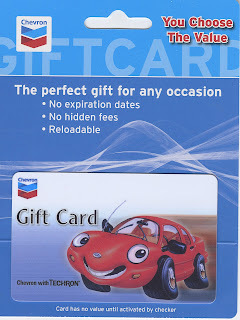 *One gas gift card per walk-in Orange County, California ScanMyPhotos.com customer while supply lasts. Offer cannot be applied to prior orders and not valid towards direct mail orders. Some restrictions apply. For more info, email: info@ScanMyPhotos.com or use their 24/7 free Live Support help desk. Not Going to China This Summer? Getting "Raves" from "Bob's Rants"